Breaking News: MVSCLES Has More Than One Song! 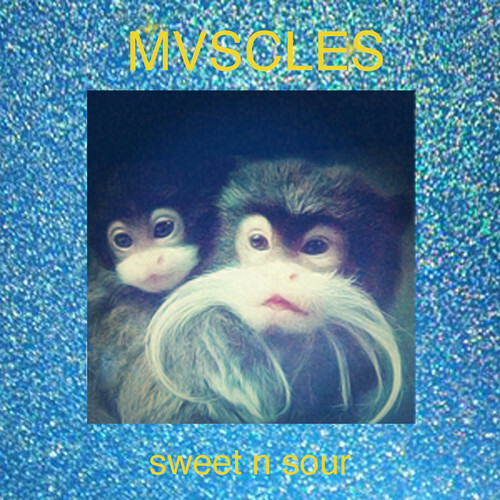 The new and semi-mysterious electronic duo from Boston, MVSCLES released their first jam Sweet n Sour earlier this month and it BLEW UP. Well, fabulous news: They have TWO songs now! … even better, this jam is just as catchy as the first. Let’s hope they keep the gloriousness up. Find Where You Are on bandcamp here or Soundcloud here. It’s 4th of July… and I have nothing to do, surprise! Considering that we burnt down our deck last year, maybe it’s better this way. I got up early and headed to the de Young museum to view the visually stunning interactive Jean Paul Gaultier fashion exhibit (which I highly recommend). Afterwards, I strolled through Golden Gate park, walked to the inner Sunset and sat down for lunch where I then inhaled an ungodly amount of kimchi and rice cake – quint essential 4th of July cuisine. Feeling guilty, I decided to walk it off and headed to Cole Valley, through the Haight and wound up at the Pan Handle. I can’t find much about MVSCLES (because they’re new!…?) aside from the fact that they’re a duo hailing from Boston and this is their debut track. This jam is sickeningly addictive, full of synth-y greatness, bouncy beats and simple but smile-inducing lyrics like: “If I hadn’t met sour, I’d have never known sweet.” Here’s their bandcamp (for a download!) and their Twitter page if you feel like stalking. After “Little John” finished his phone call via speaker phone, he jumped up, said, “Stop wasting all this beauty on a bench!” then told me to join him and his friends for BBQ, beer, fireworks and fun.. especially since I now knew where they were all sitting. I smiled, said I’d think about it, he jumped up on his skateboard and rode off. I should’ve taken him up on his offer because now, this is what I’m doing instead. Hah… lucky you!